The truth is, with a little bit of discipline, it is easy to establish good credit. 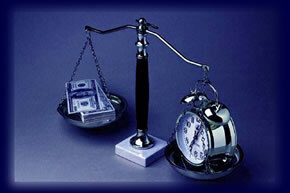 If you are short on time and money, then here are a few tips to build a good credit score. • Clean up your Credit Reports. We can help with this by challenging the accuracy of derogatory data in your reports. This is the second most obvious, but often is overlooked. A single 30 days late payment can get you into the sub prime market for months. Paying your bills on time makes the biggest impact. There is nothing better for your credit than paying on time each and every month. It will save you thousands of dollars in the long run. • Increase Your Credit Limits. Do you know that you can call your credit card companies and ask for a credit limit increase? The point is to have a higher limit and lower the average utilization. The lower the credit card balance compared to the credit limit, the better for your credit score. The Debt to Available Credit Ratio makes 30% of your credit score. Your goal is to have an average utilization of 15% or less. Credit inquiries make up to 15% of your credit score. Do not apply for new credit unless you need it or you have a clear strategy. A credit card application frenzy is never a good idea. Having several lines of credit available may cause lenders to turn you down. A couple credit cards with small balances, a car loan and a mortgage is ideal. Type of credit used makes up to 10% of your credit score. If you can get a relative with a long and good credit history to include you as an authorized user on one or more old accounts with high credit limits and small balances, it will make an extremely positive impact on your score. Rumours spreading the news that authorized user accounts are no longer taken into the credit score are not true. It is the best way to start building new credit. A warning about buying "seasoned trade lines"
Please be careful as there are many unscrupulous providers of these products.